Beautiful Turn-key home w open layout on main floor, vaulted ceiling, gourmet kitchen w granite & SS appliances. Formal dining/living room and office. 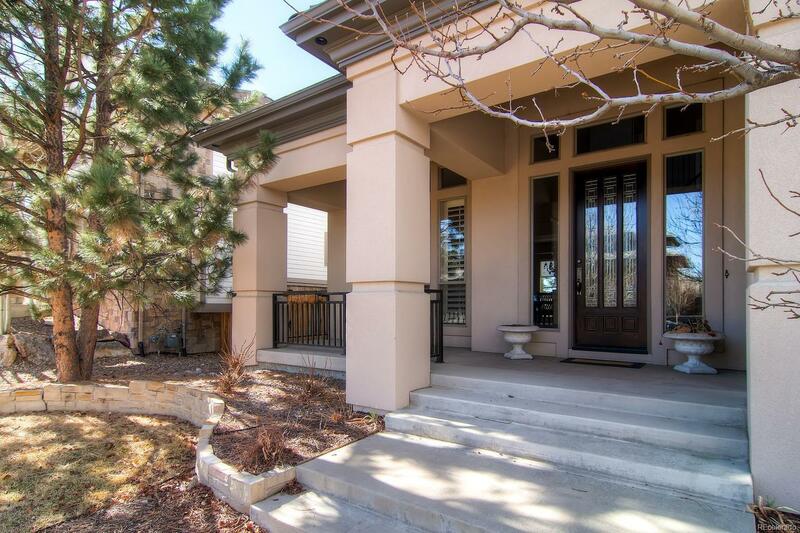 Large Master suite w mountain views, private balcony, custom closet & 5-piece bath. Large finished basement w private entrance, media room, study, 2 bedrooms, second laundry area, kitchen, fridge & sink. Great fenced yard w mature trees. It even has a dog shower! Heritage Hills offers a gated community w incredible amenities, conveniently located to everything that makes suburban living so easy.